A light drizzle was falling on us as we made the drive to Aboyne, Scotland. It was a Saturday morning in March. Nearly Easter. We were headed to meet our friends Patrick and Nicola for a walk with our kids and theirs. All of our kids were tugging at hoods and zippers to get a bit more cover from the rain. When you are still beside the cars and it is raining, you feel that maybe you should just get back into the cars and forget the walk. It’s discouraging to begin a walk in bad weather, and it’s hard to just walk away from those metal coverings that have dry seats inside of them. We filed behind him along the sidewalk until he turned left off of the road and onto a trail. The joy of being with another family is that we could all laugh together about being out in the rain. If it had just been Chinos on this hike, there would have been attempted mutiny and non-stop complaining. But when you’re with others who say things like, “Auch, well, it’s good to be outside on a Saturday,” then everyone is more inclined to be cheerful. We traipsed through damp woods over brown ferns and grasses, not yet showing any signs of spring green. But on this wet March day, the air felt warmer. The winter chill was definitely beginning to pass even if spring was not yet visible. The rain stopped after a bit, and the kids scrambled ahead of us, shedding their raincoats and climbing trees. Nicola and I fell behind a bit, chatting and catching up after weeks of quick hellos at church. A proper chinwag while walking a wooded trail is my favorite way to spend time with a friend. Maybe it’s my introverted nature talking here, but it’s so much easier to walk and chat than sitting face-to-face. The pressure is off. You can walk and talk or walk and listen or walk and be quiet. Anything goes. This day we talked quite a lot. Easter was upon us and we were both feeling the sting of having one older child away from home for Easter. We talked about Easters of years past and how the day is not quite the same without little ones. We spoke of children getting older and living with mostly boys. We talked about the future and the hopes and worries of our hearts. 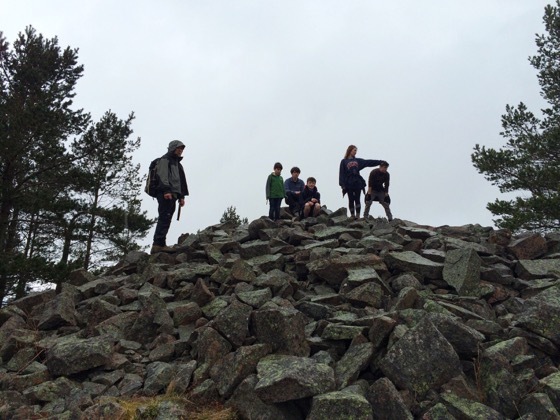 Before long the kids were shouting from a pile of rocks that we had reached the top and it was time for lunch. We pulled out sandwiches and tuna wraps and apples and carrots and homemade blondies. We passed around treats and pretzels. The wind picked up and we all got chilled quickly on the exposed hilltop. Taido poured tea from a stainless steel flask and Patrick poured coffee from his blue and green thermos. Taido led us back down the hill we had climbed and then we looped on a different trail back to town. We came down through a grove of pine trees and out by a field where the views opened up and we could see the mist-covered mountains. More of the ground and the trees were beginning to be green. It’s a long exhale every year when I realize that I have made it through another winter. We walked along the field, everyone’s pace quickening in the rain. I stopped to tie a lace and got behind. When I looked up, I saw our kids walking ahead together and then Taido with Patrick and Nicola following on the lane. This is how I always will always remember our days in Scotland. Wandering in the Highlands on the days when the weather is not the best and even the season is not my favorite, but we are outside and we are together. The joy of opening a flask of hot tea or a tupperware of homemade treats with a group of friends on a rainy day is a feeling I want to bottle. It is simple and lovely and inexpensive and uncomplicated. And on nights that follow days like these I fall into my bed with tired legs and full heart. Many, many of our Saturdays in Scotland have been marked by this simple rhythm. Steps on a path and friends alongside. PS. Aboyne, Scotland is a super lovey little town in Royal Deeside (west of Aberdeen in the Highlands). 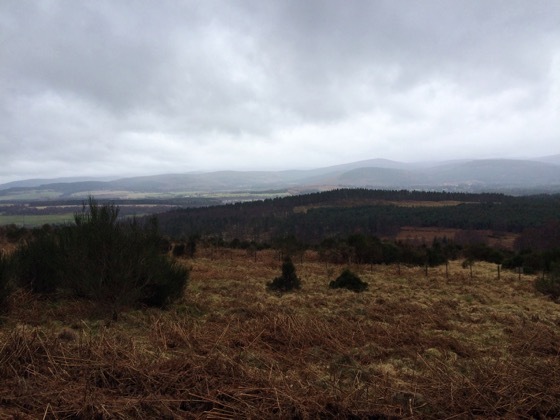 You can find the walk we did at Walk Highlands, and if you find yourself in need of a cup of tea after a wet, cold walk, I highly recommend stopping in the Black Faced Sheep in Aboyne, Scotland before you head on your merry way. 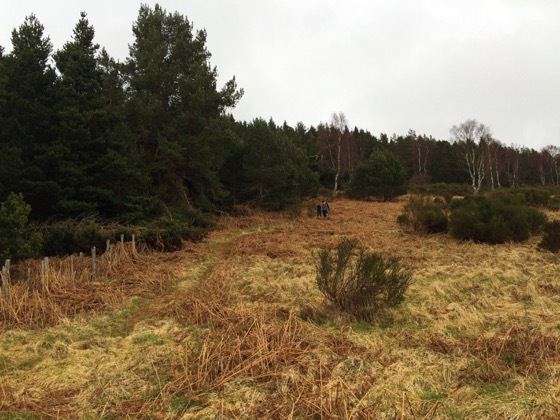 Another really charming spot for walking in this area is Glen Tanar.